When Guy Davenport looks at the world, the world changes; sometimes just a little and sometimes a lot. And no reader is the same after reading his or her first Davenport essay or story. He is a writer perfectly described by the term "singular" and in praising his work, from fiction to poetry, from translations to essays, critics all over the world have noted his unique manner, his remarkable erudition and his startling humor. He is the finely realized perfection of high modernism blended with an American sensibility as old as Emerson's. 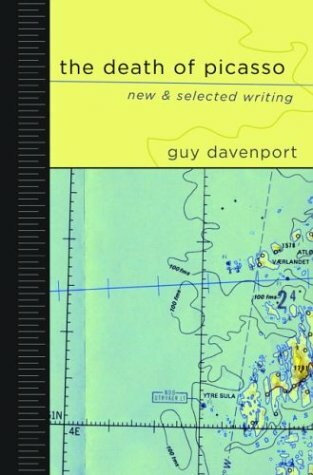 "The way I write about texts and works of art," Davenport has written, "has been shaped by forty years of explaining them to students in a classroom. I am not writing for scholars or fellow critics, but for people who like to read, to look at pictures, and to know things." For The Death of Picasso, Davenport has gathered twenty-six essays and stories from throughout his career, more than one-third of which have never before appeared in book form. The result is an exciting and invigorating selection, a testament to one of the prose masters at work today.